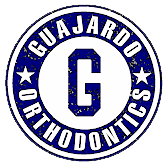 It is always our goal at Guajardo Orthodontics to offer our patients the very best orthodontic care in Baytown, TX and the surrounding communities. We believe that successful orthodontics is patient-focused and based on leading-edge treatment in a warm and friendly environment. That is why in our office we do not only excel in providing the highest quality of treatment, but look forward to making you feel among friends.